An agenda full of food, wine and art is where the best of Melbourne begins. 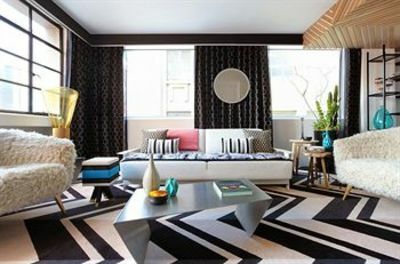 The city of full of quirky finds and a mix of vintage and contemporary style. The Adelphi Hotel is no exception to this. Hugged into Flinders Lane, it’s easy to walk past this hidden hotel full of rare luxuries. It offers a template of temptations, quite literally, as visitors are greeted with a bag of sweets and a cocktail upon arrival. Quite fitting for a hotel inspired by desserts. The interior design showcases a mix of liquorice-like pillows, mixed furniture and industrial bathrooms; perfectly capturing the diversity of Melbourne. Step outside and stroll down Hosier and Rutledge Lane, famous for their street art expression then indulge in Italian pastries and coffee at Brunetti’s street cafe. Across the road, visit the iconic Federation Square or walk a block down and enter the hustle and bustle of Elizabeth Street. Retreat back to the hotel and if you need to further satisfy your sweet tooth and enjoy a decadent array of signature desserts by Christy Tania. The Om Nom Kitchen also serves breakfast, lunch and dinner daily accompanied by wonderful selection of wines, craft beers, spirits and creative cocktails, including the Frank Underwood. 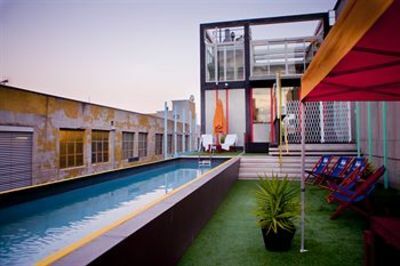 The best part of the Adelphi is the rooftop pool, overlooking the inner laneways of the city grid. The pool deck is open from sunset to just before midnight and guests can enjoy a range of fine foods and drinks in style. The Adelphi focuses on all the little things. For every day of your stay, a macaroon is left on your pillow and their signature welcome is a drawn onto your room’s mirror with lipstick. Choose one of the 3355 domestic flights to Melbourne per week and experience all the rarities of the Adelphi.